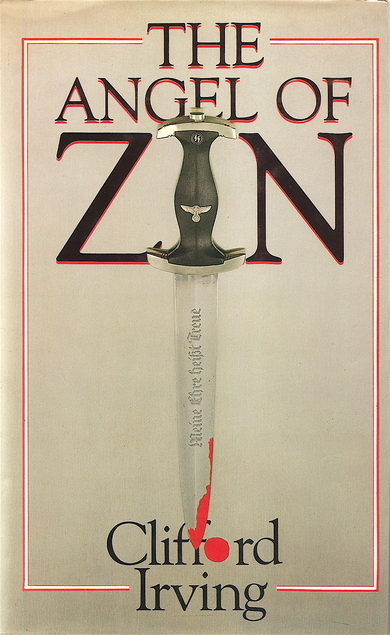 The Angles of Zin by Clifford Irving is a novel taking place mostly in a Nazi concentration camp during World War II. One of the popular gifts I get are Amazon gift cards, as many of us I try to stretch them out as much as I can (I don’t spend much money on myself anyway). A few times a year Amazon has Kindle book sales which is where I spend most of those gift cards on and one of those times I bought this book. This book is not just another Holocaust story, or another murder mystery, the novel combines the two and becomes something more than the sum of its parts. The story is drawn in wonderful detail and the interactions between the Nazis and their Jewish prisoners are fascinating. Several Nazis are murdered in a Nazi concentration camp in Poland, and the Gestapo ordered the Berlin Criminal Police to investigate. The assignment falls to Paul Bach, Chief Homicide Inspector and a veteran from the Russian front. Bach is at odds with what the government he represents is doing. As he hunts “The Angel”, who taunts him with notes and clues. Hmm Nazis murdered in a “Polish” concentration camp? What travesty of history is this? For your information there were no “Polish concentration camps” only German campa in occupied Poland where Poles were imprisoned, tormented and murdered by Germans. To suggest the reverse is simply perverse and a distortion of history. Please correct this. Thank you, I made the correction. There were no “Polish” concentration camps, but there were quite a few German concentration camps in occupied Poland. THAT is the way that these horrific camps need must be described. Please change your review, to reflect the truth, and give credit where it is due – to the Germans. Even though this novel is a work of fiction, as it refers to a specific period, it must describe these camps accurately. And in case anyone was wondering, the Nazis were a quite nasty political party elected to power in a democratic Germany. So, that political party did not invade Poland, or build Auschwitz – it was the Germans of Germany. Using “Nazis” in place of Germans/Germany would be like saying that the Labour Party invaded Iraq. And that sounds rather silly doesn’t it?! And we wouldn’t want people wondering where those “stateless” Nazis were from, would we? !